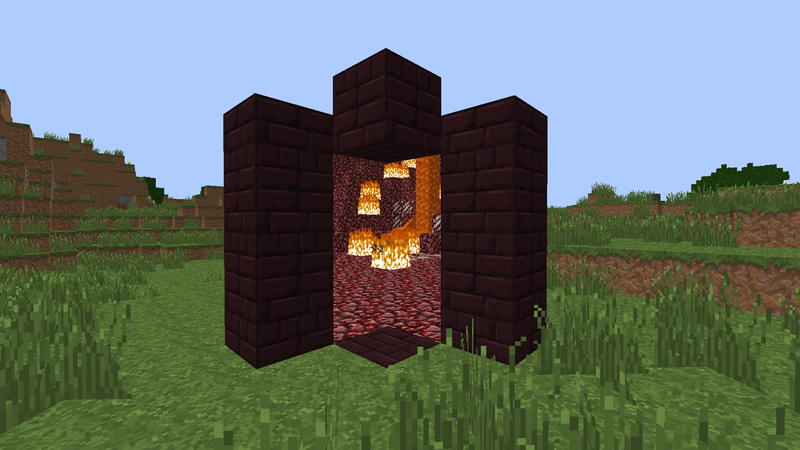 The portal must be upright and requires three blocks of Obsidian on each side and two on the top and bottom � blocks on the corners are not needed for those who want to be economical. The featured image above will give you an idea what the frame of the portal looks like.... Build the frame for your Nether Portal. You'll likely want to build the frame near your home so that you can easily resupply when you return from the Nether. The frame needs to be at least 4x5 blocks, but you don't need the corners, meaning you'll need ten blocks at minimum. 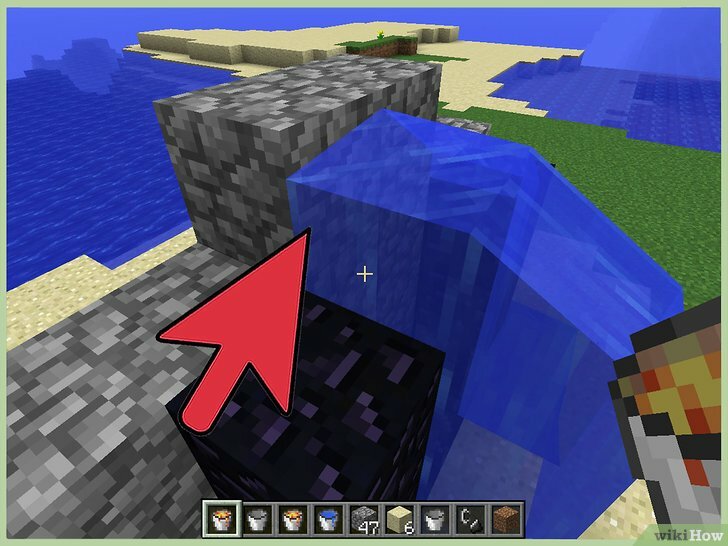 EDIT: btw sticking the portal at the bottom of your mine makes it far more likely that the nether side portal will be on a shore at "sea" level (y32) or even under the sea in the caves below. Just like always building it around cloud level in the overworld would make it far more likely to put the nether side portal in the nether ceiling.